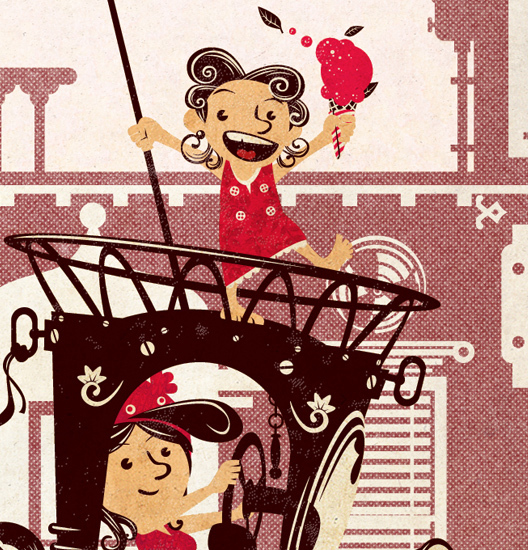 Carlos Araujo Ilustrador | Illustrator: Schizzibooks 2: Tomato Ice Cream! Um novo Schizzibook ilustrado por mim está disponível! O produto dessa vez é um bloco para desenho (150mm x 120mm, 60 folhas, miolo em papel pólen bold, 90 gm. Com microserrilha) que vem formar uma dupla com o Schizzibook anterior, com a capa "People Movers". 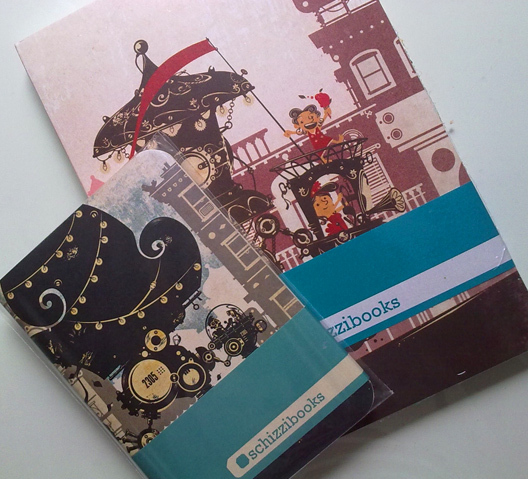 A new Schizzibook with cover illustrated by me is now available! This time we have this awesome drawing block (paper) that goes well along with the previous product (The "People Movers" sketch book). 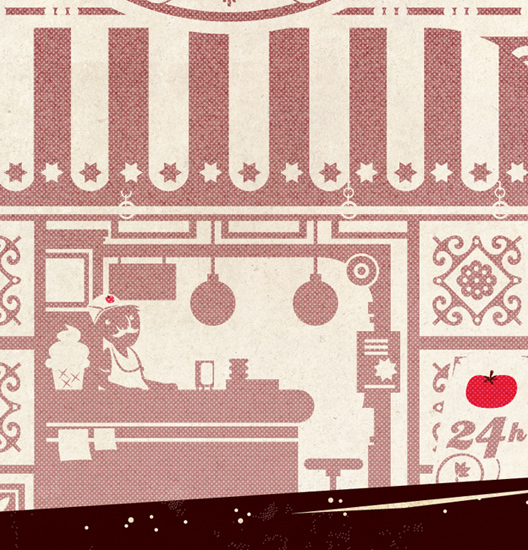 A nova capa se chama "Tomato Ice Cream" ("Soverte de Tomate") e continua o tema dos "urban walkers" que apareceram anteriormente em meus trabalhos "People Movers" e "Hey Taxi!". "Tomato Ice Cream" tem uma paleta de cores mais quente se comparado à "People Movers"... Eu busquei apresentar uma cena tirada de um dia de verão onde mãe e filha voltam para casa depois de um dia no parque de diversões... E no caminho encontram tempo para um sorvetinho. Abaixo, detalhes da capa e contracapa. This new cover is titled "Tomato Ice Cream" and continues the theme of "urban walkers" previously seen in my "People Movers" and "Hey Taxi!" illustrations. 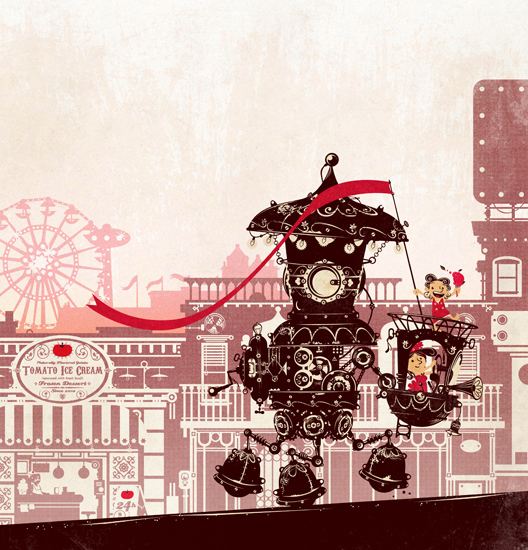 "Tomato Ice Cream" features a warmer colour palette when compared with "People Movers"... I was looking for a kind of summer day felling to the scene where a girl and her mother are going home after a day at the park and also find time to have a nice ice cream. Bellow you can see a closer look at the cover and back cover . e também "People Movers" Schizzibook...! Garanta seu material de desenho para 2013! 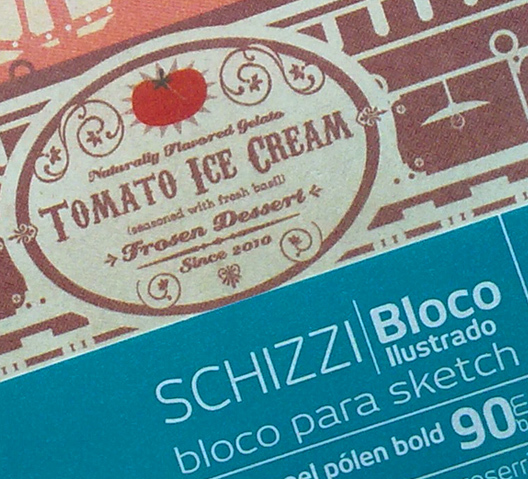 Para comprar "Tomato Ice Cream", visite o site Schizzibooks. So... We are a few days from Xmas... Grab your "Tomato Ice Cream" Schizzibook (and its companion piece "People Movers" Schizzibooks) and get ready to sketch on 2013!